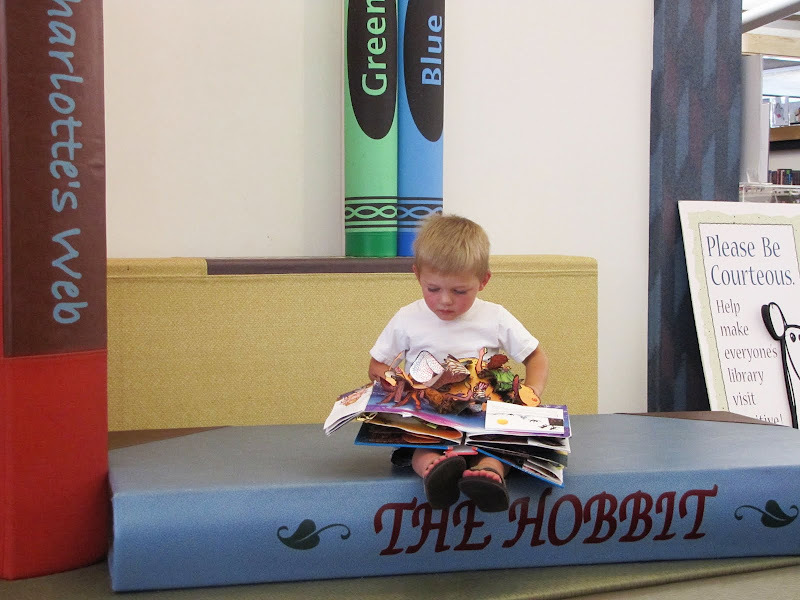 The library is Bryson's new favorite place to go! We take weekly six mile (roundtrip) walks/jogs there each week to return and check out new books. It's become a fun tradition that we both look forward to. I'm excited to sign him up for story time, which starts next month. He's always quick to make new friends and loves doing the puppet show each time we go. 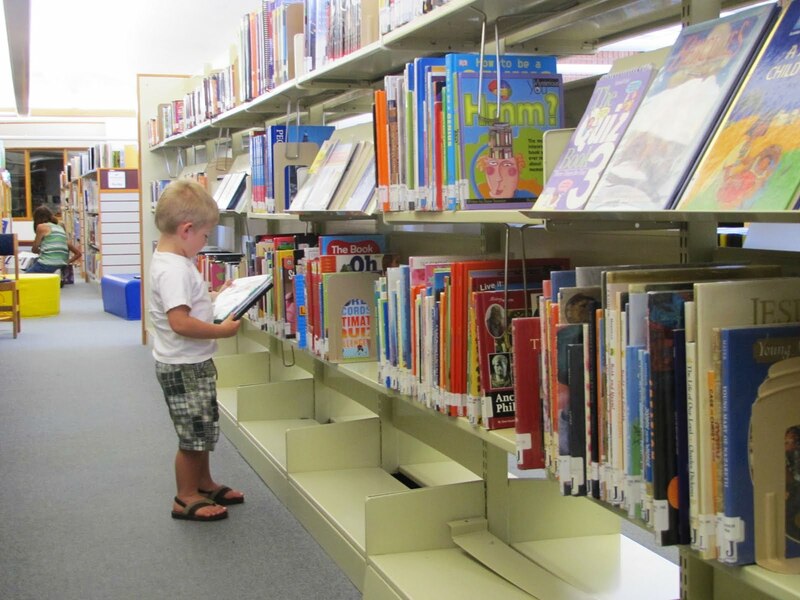 We're lucky to live so close to such a great library.